Combining a high-capacity, long-range battery with appealing SUV style, the Hyundai Kona Electric makes for a winning formula. The new Hyundai Kona Electric crossover will be available with the choice of two battery sizes, but it is this larger 64kWh version that will interest most buyers. 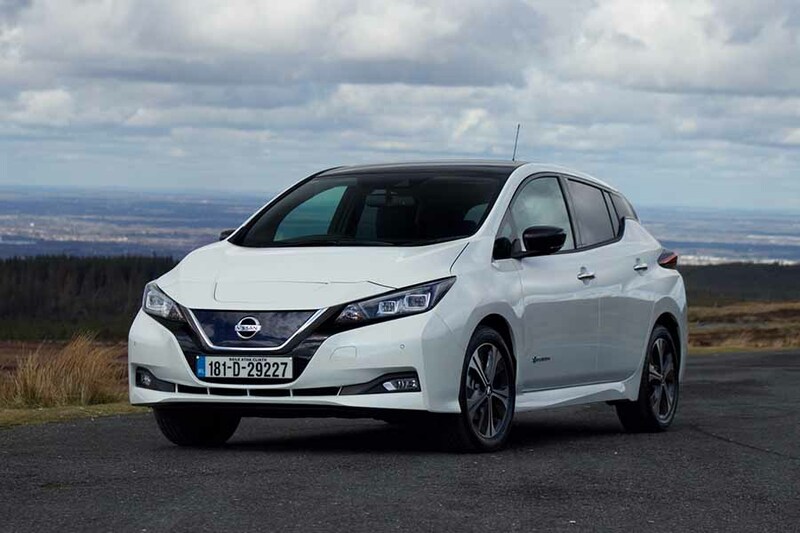 Packing an impressive 449-kilometre range, and fast charging capability, this is one car that ought to worry the Nissan Leaf when it arrives on Irish shores. The regular Hyundai Kona has one of the most stand-out designs in the segment, and the Kona Electric is no different. Distinguishing it is a different front end design that features a blanked-off grille. It's in the top section of this that the charging port for the battery resides. LED daytime running lights remain separate from the main headlight units, placed underneath, but unlike the regular Kona, these aren't surrounded by cladding. Bespoke front and rear bumpers also add to the Kona Electric's unique look, as do the aerodynamically optimised 17-inch alloy wheels. There is still robust-looking black plastic cladding surrounding the wheel arches to emphasise its SUV credentials and, optionally, buyers can specify a contrasting roof colour. The interior also comes in for some minor changes, which can be seen in the new centre console layout. It's a raised unit that features two cupholders, a separate storage area that includes USB port and the option of a wireless charging pad. Being an electric vehicle, it has a single-speed automatic transmission. Rather than use a conventional lever, the Kona has a push-button shift-by-wire system. This setup frees up space and is really easy to use. Depending on the car's specification, the centre console can also house controls for the heated steering wheel and heated and ventilated front seats, in addition to the drive mode selector, auto handbrake hold and parking sensors. A seven- or eight-inch (depending on equipment grade) freestanding touchscreen display is well placed so that you don't have to glance too far from the road to see it. Hyundai will also offer a head-up display. Our first drive in the Hyundai Kona Electric was in the more powerful 64kWh model, which has a power output of 204hp and a healthy 395Nm of torque, which, being electric, is available from the off. With its sportier drive mode engaged, it feels faster than the 7.6-second dash to 100km/h from rest would suggest, and that zip from 20-50km/h makes it feel very agile in traffic. Adding to that is balanced handling thanks to the car's lower centre of gravity thanks to the battery's positioning beneath the cabin floor. Despite being only front-wheel drive, the Kona lays its power down smoothly, and it's just when you attempt maximum power delivery from a stop does it hint at some torque steer. There's little need to use the car's Sport setting though, as the standard mode provides more than adequate levels of performance and helps prolong battery life. For those looking to eke every last kilometre out of it, there's an Eco+ mode. As is the norm with electric vehicles, the Kona Electric offers different stages of energy recuperation when you lift off the throttle. You can opt to coast or freewheel, and it does this reasonably well. From then you can change between three stages of regen via the small paddles on the back of the multifunction steering wheel. Hyundai claims to offer 'one pedal driving' with the Kona, much like Nissan does with the Leaf, however, in the Kona it is reliant on you using and holding the left paddle in to initiate the maximum regen with a deceleration force of up to 0.25g. It works in much the same way as the Leaf, but we feel its naming is a little disingenuous, as it's more 'one pedal and paddle' driving. The Kona also has a Smart Regenerative System that uses the radar sensor to monitor the road traffic ahead to control the regenerative braking automatically. On the whole, the Kona Electric drives very well and with a full charge is capable of delivering the kind of ranges that EV buyers have long desired. Officially, this 64kWh model will cover up to 449 kilometres between charges according to the more realistic WLTP test. Even accounting for real-world use during colder winter months, we still expect the Hyundai to deliver an impressive driving range per charge. If you could find a 100kW DC fast charger (and had it all to yourself), the Kona Electric is said to charge up to 80 per cent capacity in 54 minutes. Otherwise, its 7.2kW onboard charger will take 9 hours 35 minutes to charge for the 64kWh model, plugged into the mains, with the 39.2kWh variant taking 6 hours and 10 minutes on a similar charge. 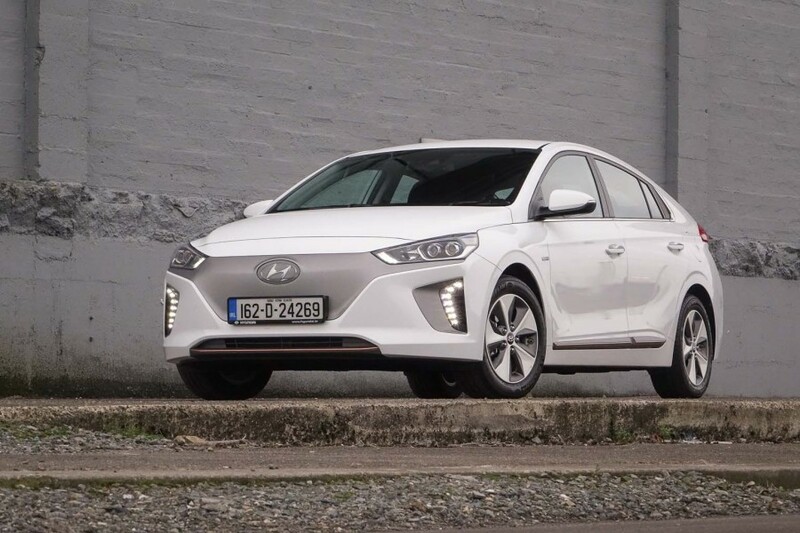 Unlike the Ioniq Electric, the Kona Electric has a liquid cooling system for the battery to keep it in a more stable condition. For colder climates, it also has a battery heating system. Users will be able to set scheduled charging and charging limits for the Kona. Hyundai will also offer location-based prescheduling, which stores settings and times for other locations, such as your workplace. One other interesting feature of the battery is the utility mode. This enables the user to use the electricity from the car's battery to power external devices, such as when camping. In time this system could be used as part of a smart home grid to contribute to the energy usage of your home. The single standard specification for the Hyundai Kona Electric in Ireland sees the car ride on 17-inch alloy wheels, with an exterior that includes body-coloured door handles, mirrors and bumpers. Rear privacy glass and roof rails that can support up to 80kg are included, too. In all, there are seven exterior colours available with the choice of two roof colours. Inside, there is leather upholstery with heated front seats and a driver's seat that is electrically adjustable. The multifunction steering wheel is also heated. Both the headlights and wipers are automatic, too. On the tech front, all Kona Electrics get Drive Mode Select, rear parking sensors with a reversing camera, cruise control with a speed limiter function, Bluetooth and USB connectivity and wireless smartphone charging for compatible devices. The infotainment system uses a seven-inch touchscreen display and can run Android Auto and Apple CarPlay. Driver assistance features include lane keep assist, driver fatigue warning and hill start assist. Among the current crop of electric vehicles, the Hyundai Kona has risen to the top of the pile, surpassing even the more expensive Jaguar I-Pace. It packs in all the appeal of a compact SUV with a good quality interior and, most importantly, the kind of driving range that most EV enthusiasts have been crying out for at what we expect to be a reasonable price. Hyundai Ioniq vs. Hyundai Kona Electric 64kWh: more practical for some, but it doesn't offer as much driving range. Nissan Leaf vs. Hyundai Kona Electric 64kWh: roomier inside and with more boot space, the driving range is less, and its battery pack isn't as advanced. 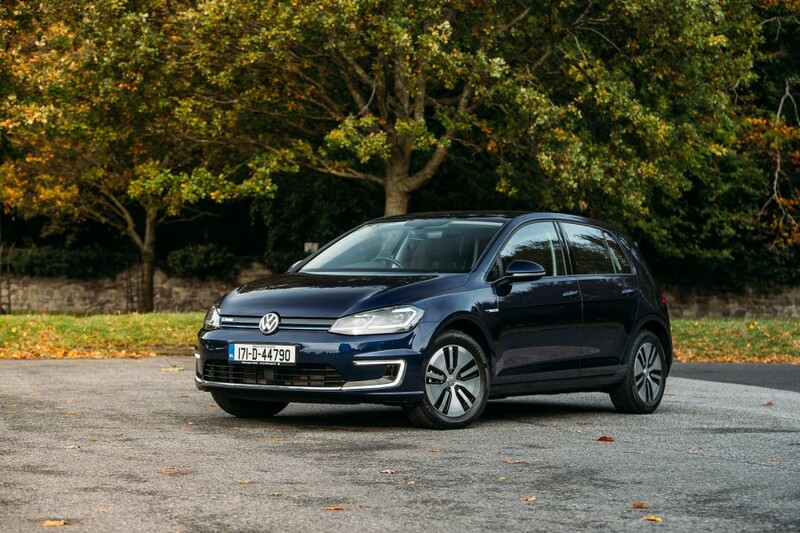 Volkswagen e-Golf vs. Hyundai Kona Electric 64kWh: feels every bit the premium car inside, has adequate range and conventional looks.